The National Sections Germany, Austria and Switzerland met this year from 18-20 June in Lenzing. The Conference on 20 June was inaugurated by Lara Bischof and Timo Koflermöchten who are both students at the HTL Dornbirn/Austria. 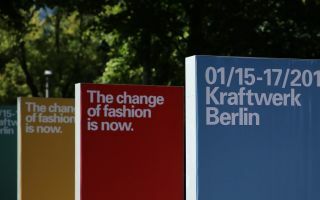 In their presentation on “Sustainable fabrics for workwear”, they shed light on how they tackled their research project. The first step involved the creation of a property profile for the workwear in question. They then selected the yarns, techniques (weaving, warp or weft knitting) and the finish. In order to obtain reference values for the fabrics under development, two reference samples were analysed. The recorded test values were compared for the purpose of developing a new workwear textile. 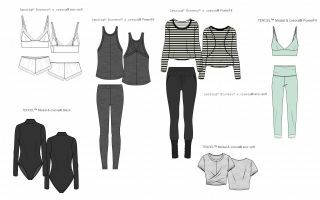 It was found that the best results could be achieved with Lyocell and bamboo fibres. 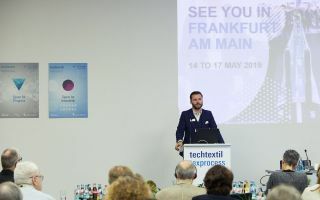 In his presentation on “Tencel A 100 blends and Micro”, Andreas Gürtler, Lenzing AG/A, described the opportunities offered by Micro-Tencel A 100 and blends with high-quality fibres such as wool, cashmere and silk. This fibre innovation is in keeping with the trend towards lightweight fabrics based on finer yarns. Using Tencel wool as an example, he highlighted the benefits inherent in its production: greater colour intensity, the use of fewer dyeing and finishing resources, more sophisticated surfaces, enhanced wearing and care properties. Application areas include woven fabrics (suits, outerwear, sportswear, accessories), knitted goods (underwear, warp- and flat-knitted goods, outerwear). Karin Kämpf, Lenzing AG, focused her presentation on “Tencel Dye 2 Processing”, a new dyeing and finishing process using yarns made from Tencel/cotton (ring, OE, airjet yarns). The most suitable knitting constructions are typically single and double jersey with and without elastane. Hank dyeing machines with corresponding equipment emerged as the best technology for the purpose. 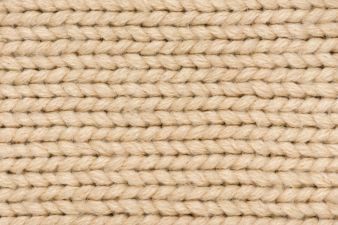 The process does not constitute an anti-pilling finish for knitted goods made from 100% Tencel A 100, Tencel LF, Lenzing Modal, viscose and/or blends with cotton. Günter Grabher, Grabher Group Lustenau/A, focused on the “Future of Smart Textiles”, taking time to explain the available materials and integration processes. The presentation provided much food for thought with respect to the research and development of pioneering products. After the conference, Lenzing AG invited the participants to lunch followed by a tour of the company spotlighting the past, present and future of this impressive enterprise. The IFKT thanked the participants, all of whom contributed to the success of this conference. Special thanks was directed at Andreas Dorner (Lenzing AG), Andreas Hämmerle (IFWS Austria), Lenzing AG for their huge support. The IFKT also extended its thanks to the speakers who made the conference so interesting and worthwhile. Special terms have been agreed for the 54th Man-made Fibre Congress in Dornbirn from 16-18 September 2015. Following the many interesting discussions at the IFKT conference in Lenzing, the organiser has decided to provide members and participants with discounted participation fees. The IFKT welcomes new participants to this event. The 48th International IFWS/IFKT Congress is taking place from 8-11 June 2016 in Mönchengladbach. See our next issue for more details.